MOSCOW, March 21. /TASS/. /TASS/. 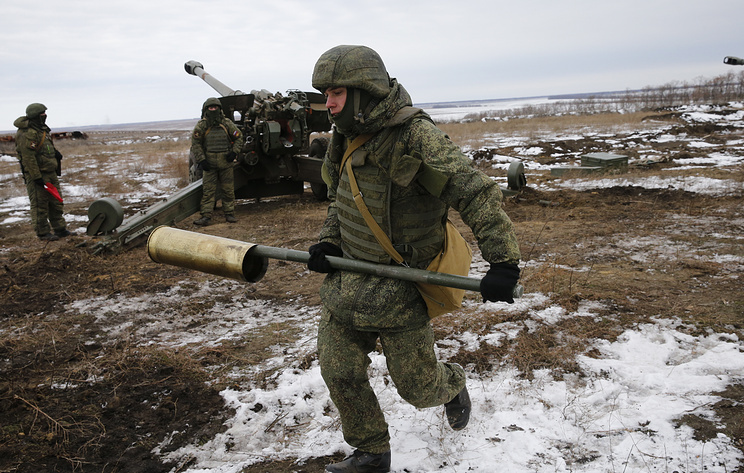 Over 1,600 servicemen from the mechanized infantry unit of the Russian Eastern Military District have thwarted an "enemy" offensive at drills in the Far Eastern Khabarovsk Region, head of the district's press service Colonel Alexander Gordeyev said on Thursday. "Servicemen from the mechanized infantry unit of the Eastern Military Distict have thwarted an offensive by superior enemy forces and launched a counter-offensive at the Bikinsky training range in the Khabarovsk Region," Gordeyev said. "Over 1,600 servicemen are taking part in the drills, along with around 300 units of weapons and military equipment," he added. Servicemen used T-72B and BMP-2 tanks and self-propelled Gvozdika howitzers to fire at the enemy.